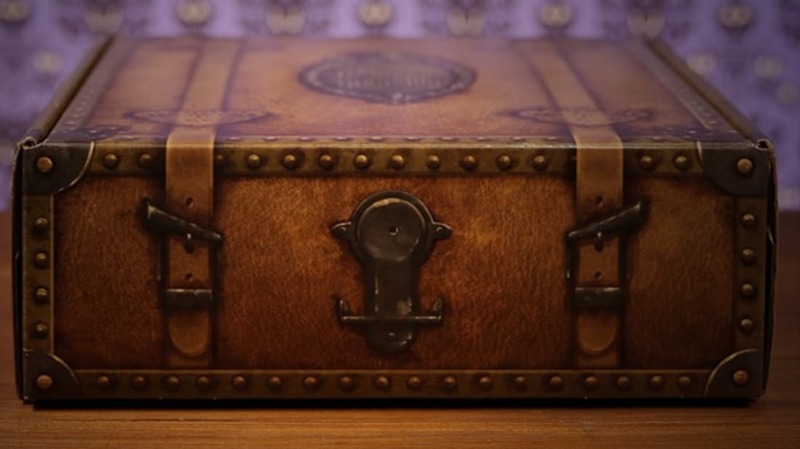 In March, Disney reinvented the idea of the subscription box by offering the “Ghost Post,” a Haunted Mansion-themed package. For $199 total, the “Ghost Relations Department” promised seven to nine mystery items per box for three months. Within hours, the 999 available boxes were sold out. Now, Ghost Post #1 is hitting homes, and subscribers are discovering that unpacking their delivery is only half the fun. In addition to collectible items, the whole experience is interactive. Each item in the box seems to be part of an overarching mystery waiting to be solved by each recipient. One fan shared a step-by-step guide to all of the mysteries thus far. The box also included materials that reveal hidden messages and clues when placed under a UV light. There’s an assemble-your-own old-fashioned radio to use with the "Phantom Radio," a smartphone app that complements the whole experience.